With the new season of Game of Thrones on its way, we're looking forward to watching a new set of grisly deaths. In the meantime, relive the deaths from the previous seasons with these lovely and mournful posters—one fatal poster for each episode. 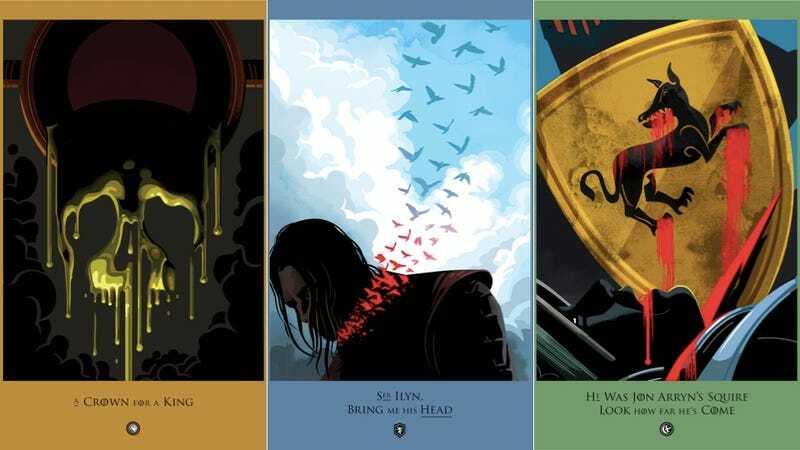 HBO is counting down to Season Four with Beautiful Death, a series of posters illustrated by Robert Ball, each representing a key death from the show. Currently, they're just a few episodes into Season Two, but they're releasing a new poster—along with fanart related to each episode—every day until Season Four premieres. You can see a few of the posters below.